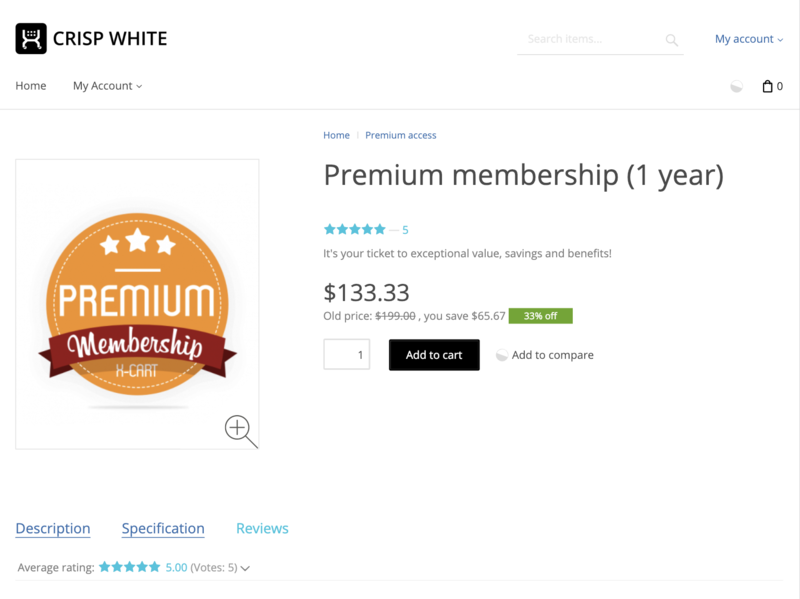 Sell premium memberships in your store. 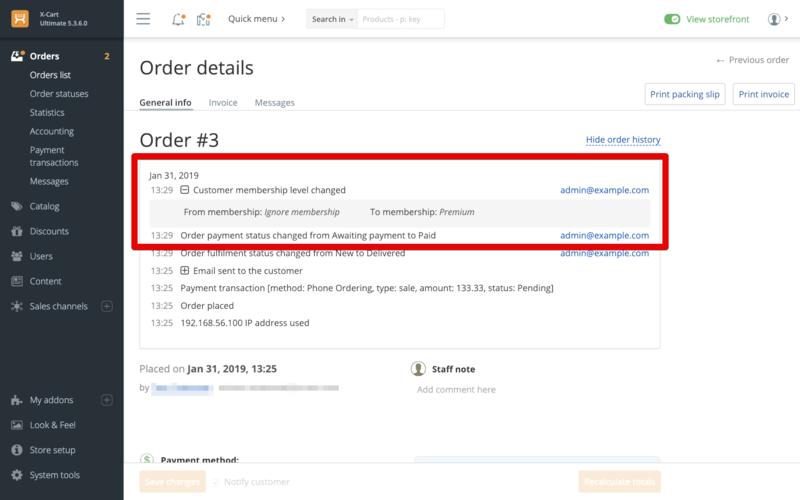 The module expands the "Memberships" feature of X-Cart, enabling the ability to sell paid memberships as regular products. The administrator selects if the membership is assigned forever or is to expire in N days, weeks, months, years. 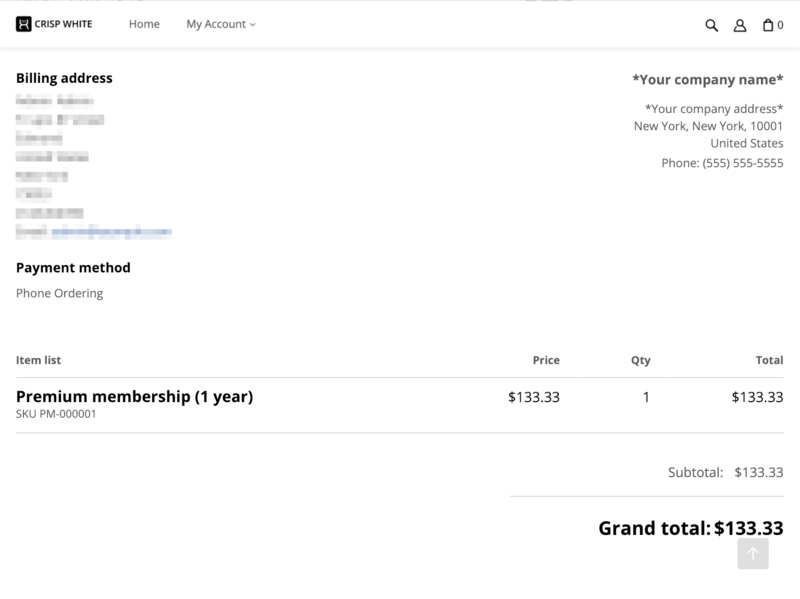 After that, if the order is Declined or Cancelled, the user gets the the membership he or she had before this order ( if any). 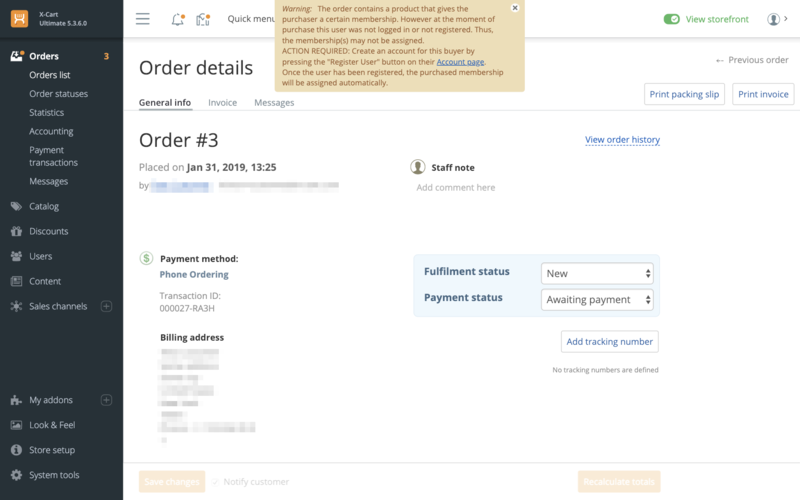 BUT: if the order status is changed to Refunded or Partially Paid, the newly purchased membership remains assigned to the purchaser. 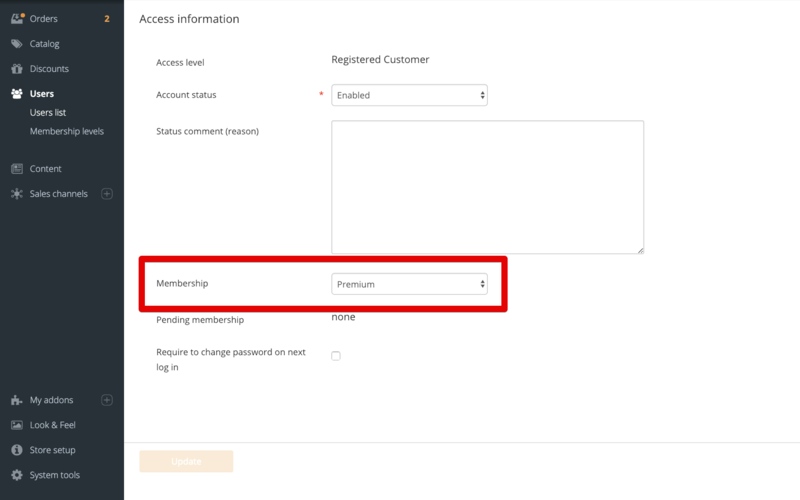 If the anonymous checkout is enabled, and the customer, buying a premium membership access, prefers to checkout without the account creation, the membership will not be assigned automatically till the account is created. The admin will be notified about such an order with a warning, indicating the "action required". 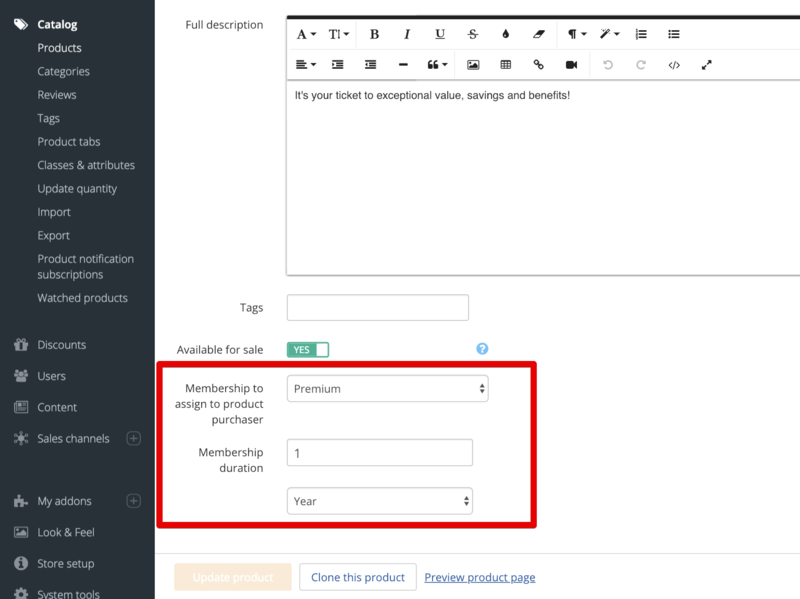 IMPORTANT: requires Cron to find the users with expired memberships and to annul their premium access automatically.